Yeah, I wouldn't think so. I used to write things here on a semi-regular basis (once (maybe twice) a week). Megan got pregnant (with twins). And I turned into a wildman focused on getting all the house projects we've been putting off for 2 years done in the next 6 (now 4) months. Many friends and family members have told me that I need to just chill out - enjoy Meg's pregnancy. I completely realize I'm not going to get all of these projects done, but I think I feel better when I'm being productive rather than just wasting time. I've already started to value my time differently, and I'm sure that will change even more once the twins arrive. But I think my favorite comment was from my friend Gina, who kindly assured me that babies don't need mulch. Thanks, G! I bit of much needed perspective. In addition, work has kicked up a notch or two for me and I haven't hardly had time to sneak a peak at most of the blogs I tried to follow. I feel a little out of touch with the OC. Hopefully I'll try to get back on track with that. But then again, life is life, and not focusing on diabetes for a while is kinda nice. But I have missed you guys. Hauled approximately 150 bags of insulation and gravel out of my attic (the last batch are at the curb this evening). This task wasn't even on my list of urgent things to do before the babies come! But we had a little Memorial Day BBQ last weekend and I couldn't risk a lawsuit if a guest actually sat on the thing and fell through onto our rocky (no grass) yard. I actually started this project on Wednesday night, was at Home Depot at 10pm on Thursday night, and had it finished by Friday night and the stain was even mostly dried before guests came to sit on it on Saturday. And I planted new grass in a small corner of our backyard as an experiment to see if it would actually take (yes! it has!) before attempting to fill in some holes Jorge has dug, remove as much of the rocks and pebbles from the yard, and plant more grass over our barren-to-spotty yard. Things haven't been too good. Not too bad, either, but certainly not that magical Goldilocks perfection we all shoot for. And I've hardly been logging my blood sugars, too. As for that whole abstaining from sweets torture I put myself through for 4+ months... that's gone completely out the window. It is not uncommon for me to eat a Baby Ruth or get a Milkshake for an afternoon snack. I somehow justify this, particularly when I'm going to bike home from work. Some times I even match my bolus about right so that there's a bit of a spike before the ride but the active insulin nicely pulls things into range during the ride and I land at a decent pre-dinner level (note that I said "some times"). I have occasionally realized that I'm eating sweets out of anxiety, which really doesn't feel healthy. Other times, I think I'm eating sweets out of habit or boredom, which I suppose isn't all that healthy either, huh? It's been 4 months now since my last A1c. I've kinda been putting it off since I wasn't so thrilled with the puzzle the last reading presented me with, and well I feel like the sweets have been bad. Yes, I am well aware that there's a large river in Africa. I also have to make an appointment with my opthalmologist for my 6-month follow up. Both of these have been simmering on my proverbial back-burner and I can hear the sizzle from them starting to boil over. Finally (but oh, so certainly, not least! ), the twins are doing great and Meg is feeling great too (she's gettin' big!). Meg and I have been going to OB appointments to every two weeks through the second trimester. This is to check up on them and make sure they're growing at approximately the same rate and to check up on how well Meg's cervix is holding up ("long, closed, and hard as a rock"). Every other appointment we have a sonogram taken. The pics below are from our 20-week appointment (we're more than half way there!). Wow. You have done a ton of work since last time you posted, and I am very pleased to read that you have not yet lost your mind (completely). As for De Nile, well... what can be said about that? I think there's a brand of pens that covers it, they're called "Shithap Pens". Wow man. After the twins are born, do you want to come over to my place and finish all my projects! Rule #1. Take care of yourself. Rule #2. Take care of your wife and family. If you're not doing Rule #1 it's hard to be good at Rule #2. I hope you can get back to better control (and I've still to get there). But I'm still finding that the Dexcom is helping me reduce the munchies incident rate. That high curve is a big incentive. And don't do all the projects. Otherwise, what'll be left for those twins to do when they're teens! I hope the rest of the pregnancy goes well. I'm very excited for both of you! Awwwww. I always wanted to have twins. So cute. And Bernard is right - you're going to have TWO slave laborers soon. Leave them something to do. Holy Schnikes! 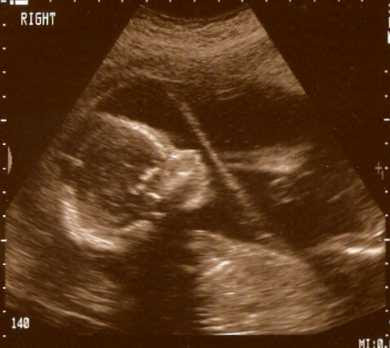 The ultrasound pics are awesome. The profile is so clearly seen. So exciting! Kate and I are very much looking forward to meeting these little peeps!! 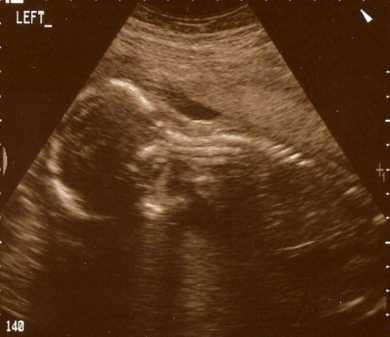 Oh man, I just had to gasp as I scrolled down to the first ultrasound - so vivid. And then the second - yes, they are beyooteeeefulllll! You have accomplished a lot. Maybe if you get all your tasks done before the twins are born, you'll have more time to spend with them once they get here. Is your wife doing OK? I know carrying around twins must be a chore in itself. OK, so I thought I was at the end of the post and I commented only to go back and read the other comments about ultra sound pics. So, you answered my question about your wife in the last part of your post. I really should pay better attention. Well you have been busy! Good to see you posting again. Oh they're precious! I'm so excited for you and your wife... twins, what a joy! wow, kev! you sure are inspiring! you've done a lot of work and there'll always be more to do. but, taking care of yourself really should be #1. i agree with the rules from bernard. i hate sugar.. it's soo evil and i promise never to buy dunkin donuts again when we hang out! much love and i can't wait to see you guys- hope it's sooner than later!